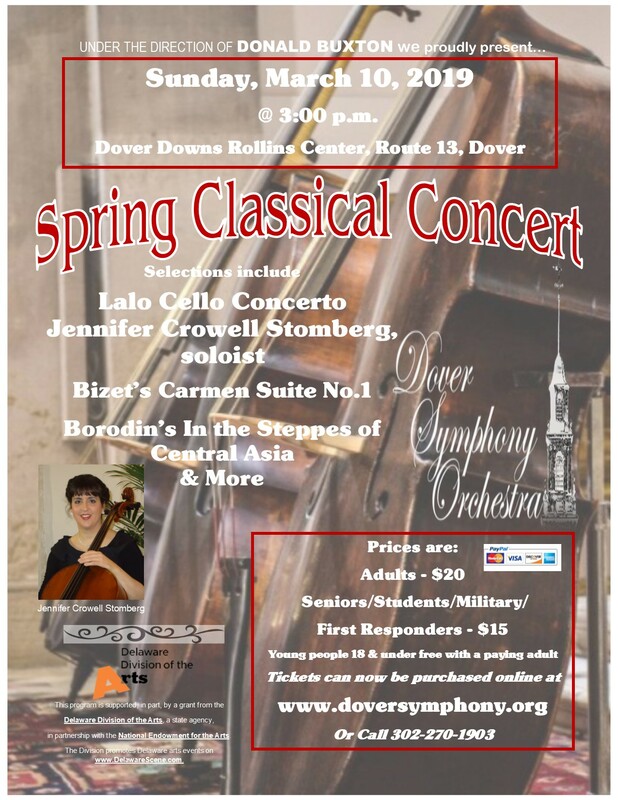 Live Orchestral Concerts in Central Delaware Over 50 Years! Support us! Please subscribe to keep up to date with our performances. We do not overload your inbox. We send out one reminder prior to each concert and an update twice a year to keep you informed. This program is supported, in part, by a grant from the Delaware Division of the Arts http://www.arts.delaware.gov), a state agency, in partnership with the National Endowment for the Arts (http://www.arts.gov). The Division promotes Delaware arts events on www.DelawareScene.com (http://www.delawarescene.com). Please contact us for the levels of support available and the benefits you will receive from each level. You can download further information right above this section in the Download section.